My Cousin Julie is a fantastic host. When there’s a gathering at her house – whether simple or grandiose – the tastiest of foods are always at the ready. It’s like Christmas for the taste buds! 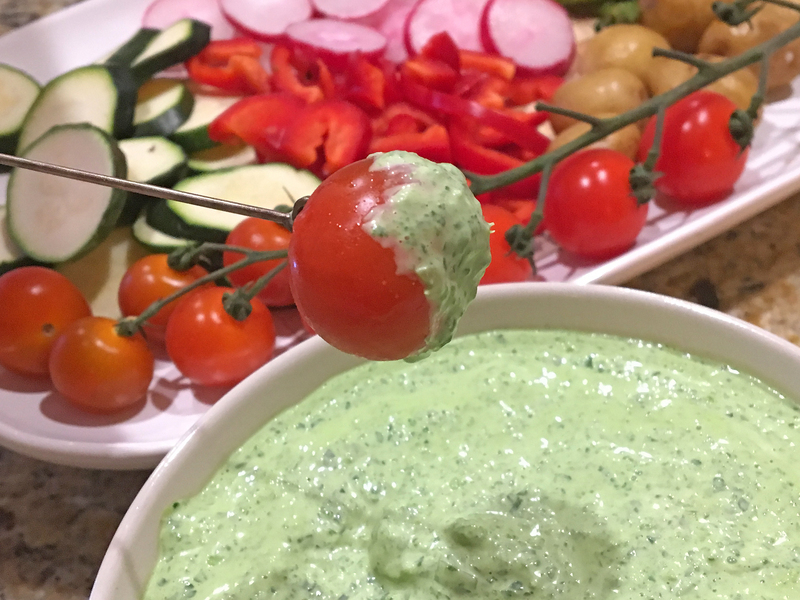 Cousin Julie’s veggie dip is easy to make and doesn’t require resting. Smooth and creamy with a natural green color, this is one of my favorite flavors that reminds me of home. 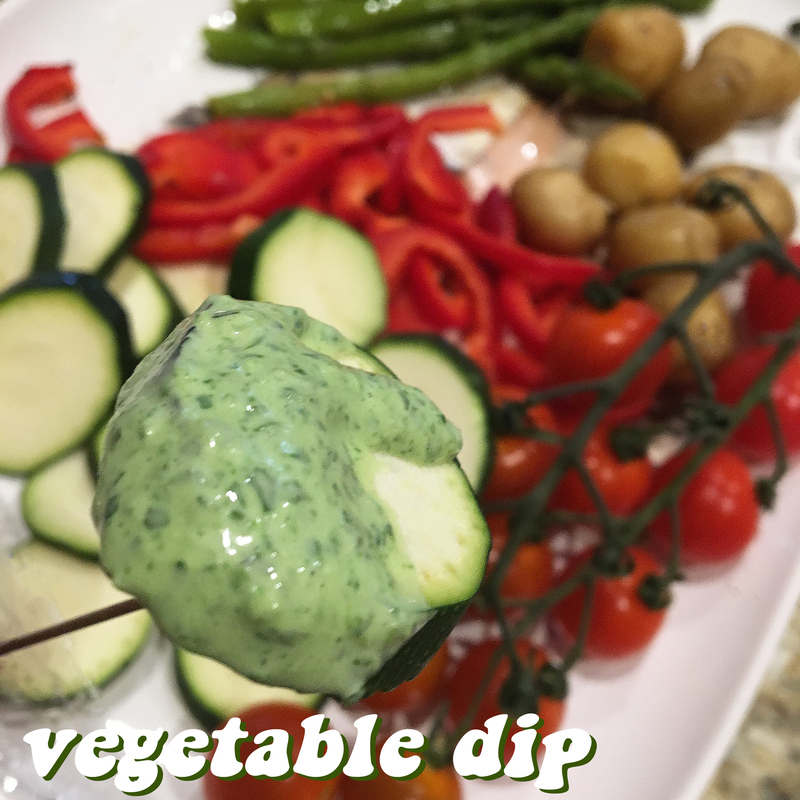 ❤ While typically dunked by sliced veggies (see below), this dip is also good on toasted or fresh-cubed bread, corn chips… you get the idea. ❤ I might sneak in some minced garlic into this on my next makin’ of this mighty dip recipe. Did you know that since garlic has leaves it’s actually a vegetable and not an herb? 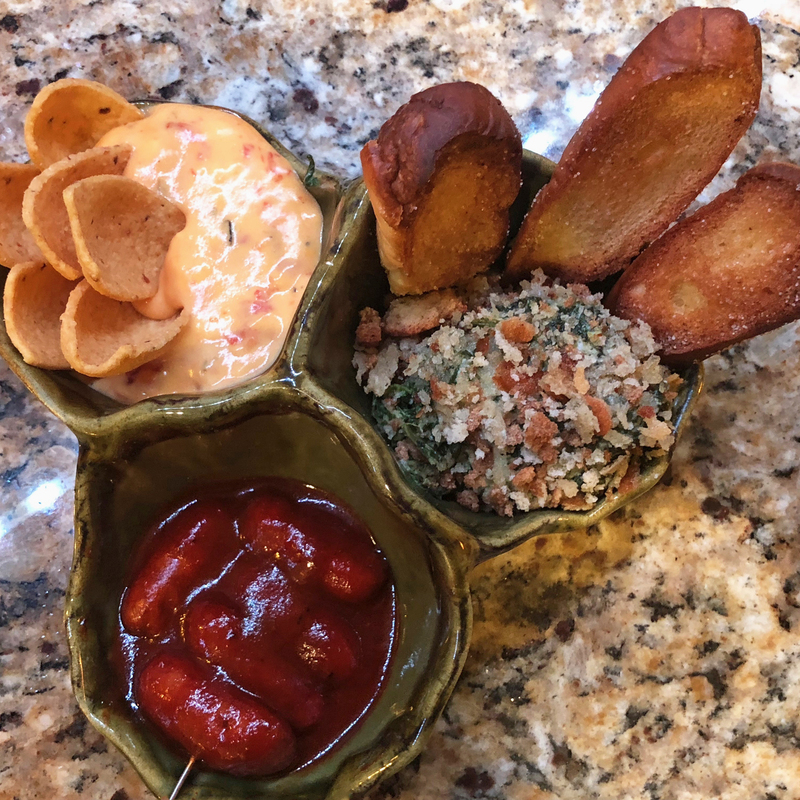 ❤ I can think of many ways to enjoy this dip: On a burger, by the fire, just because, and above all else… to show others how much you care! 1. 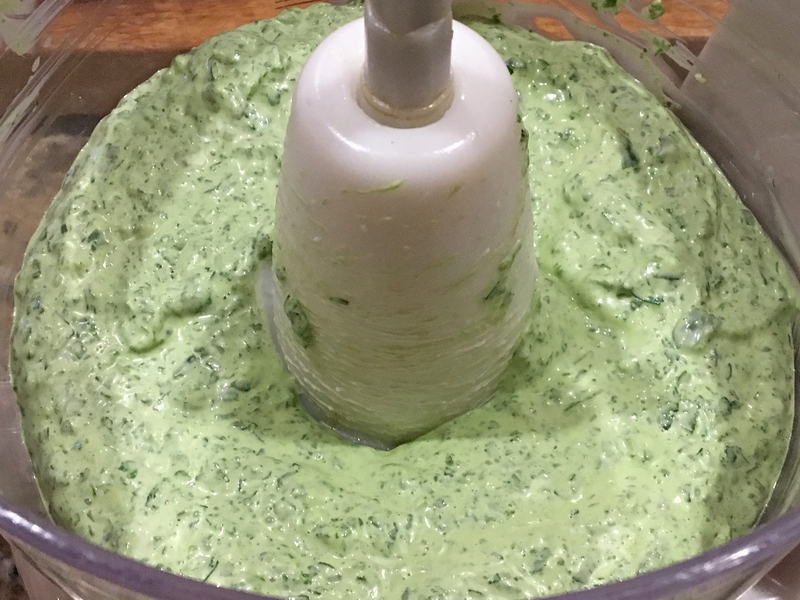 Place all ingredients in a blender or food processor. Blend until smooth. 2. Transfer the dip to a serving bowl and you’re ready to let ‘er rip. 3. Dip to your heart’s content! 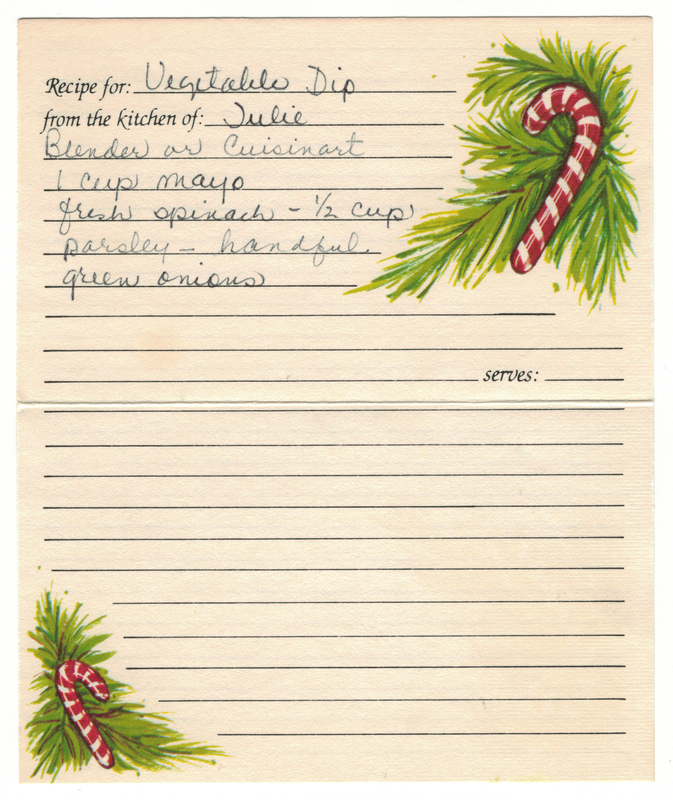 In my blog posts I typically include a nod to yesteryear. Let’s celebrate this time-honored dip with a flashback to some “Dippity Do” commercials from the ’60s, ’70s and ’80s. Enjoy! 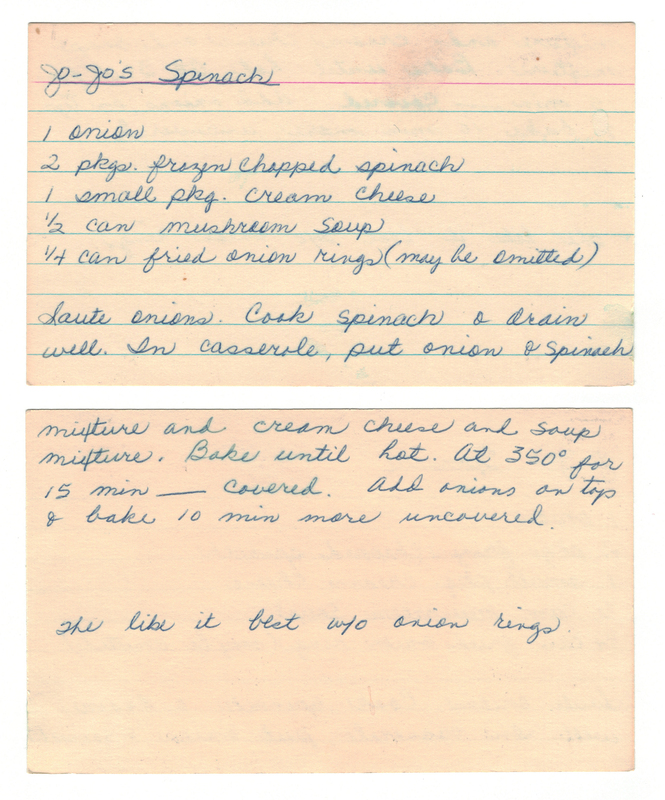 Sadly, this recipe sat for many months lonely sandwiched amongst many other recipes hoping to be brought to life from Mom’s legacy cookbook. 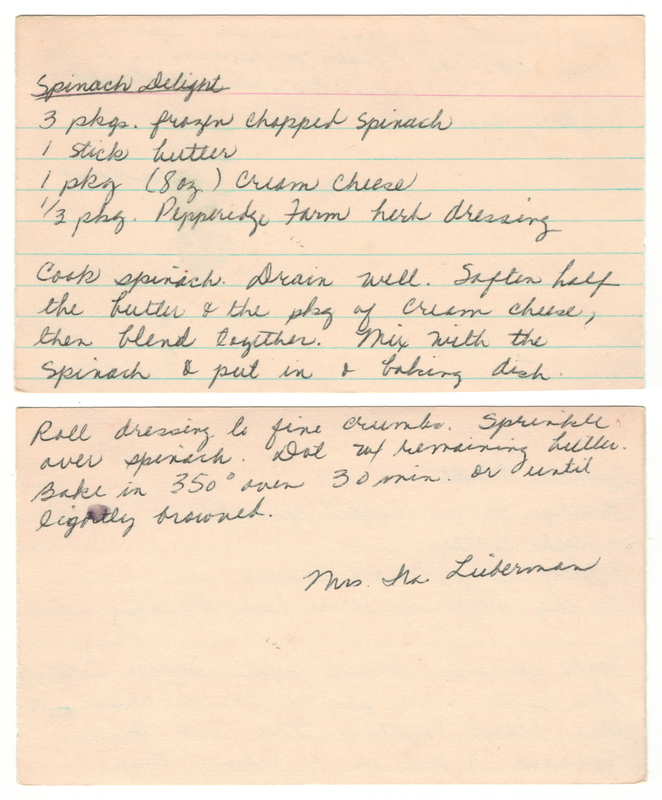 On “lucky day” it was the chosen recipe because it sounded like the perfect side dish for fast approaching Thanksgiving. Boy, we were right! 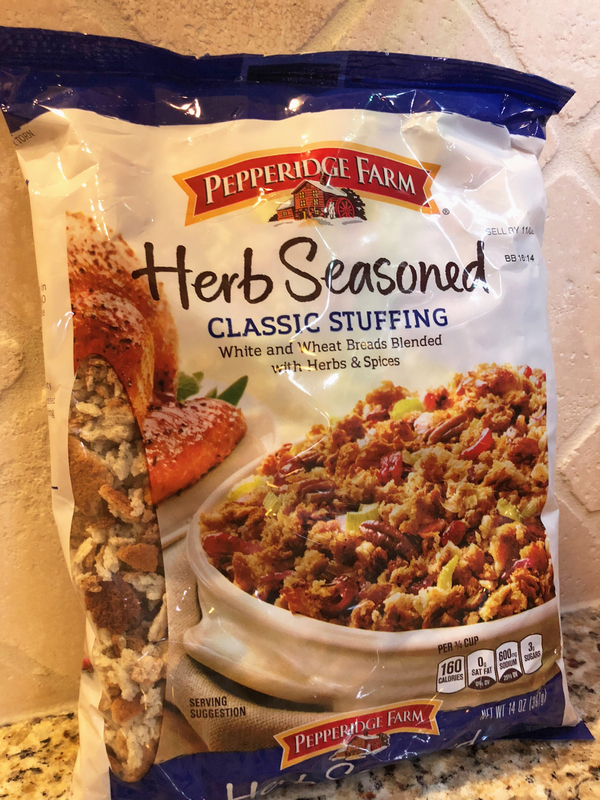 We loved the creamy-savory smash-up that reminded us of green bean casserole . . . but with spinach. ♥ By “mushroom soup” I’m 99.99% confident that “Campbell’s Cream of Mushroom Soup” was implied. If for some reason Cream of Mushroom soup makes your tummy twitch, try Campbell’s Golden Mushroom Soup. 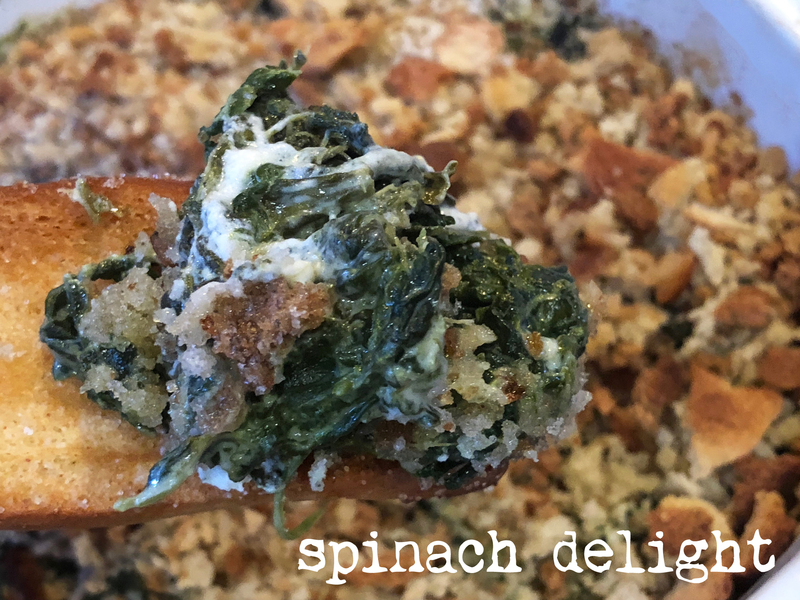 ♥ This dish makes a great Thanksgiving side and it’s a great way to get kids to eat their spinach (Winky, Winky – we all know kids will love the onion rings, just like me). 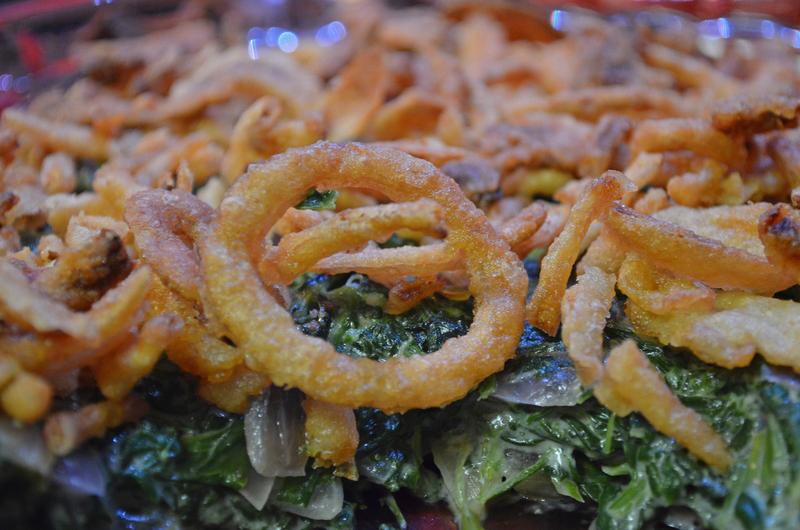 ♥ I canNOT believe my Mom wrote “We like it best w/o onion rings.” The rings were my favorite part! The hips don’t lie. 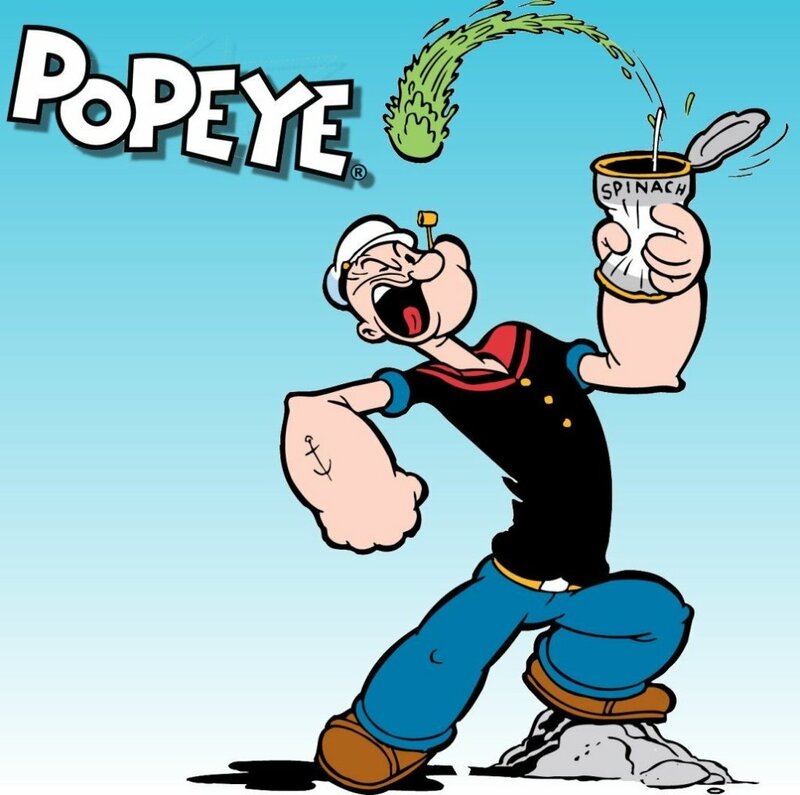 Push off, Popeye! ♥ We prepared the spinach in the microwave. For shame. And speed. 1. Sauté onion in a pan over medium heat then set aside. 2. Cook the spinach according to package instructions and drain well. 3. In a casserole dish combine the onion, spinach, cream cheese and soup. 4. Cover and bake for 15 minutes. 5. Remove casserole from oven, add onions on top and return everything to the oven to bake 10 minutes longer, uncovered. 6. Dish up and enjoy! Jo-Jo and her husband Charles (Chizzy) Davis were our next door neighbors when I was a little kid. Sadly I don’t remember them very well. My brother Tim said they moved from the home they built at 2923 Trailend Drive a couple of miles away from us to Treasure Way in San Antonio. Who moved in to their former home? The Stephenson family! The Stephensons were our neighbors on Trailend until Mom and I moved out of the home shortly after Dad died.